As a coffee lover, would you imagine that the same green coffee bean has none of the characteristics as when roasted? Well, now you know that there is a total difference in taste and aroma, as well the physical state, thanks to the roasting process. Coffee bean roasting is the heating coffee beans in a coffee roaster to transform the physical and chemical properties of the original green coffee beans. The reaction of the green coffee beans results in particular desired flavors and aromas of an excellent final brewed cup of coffee. 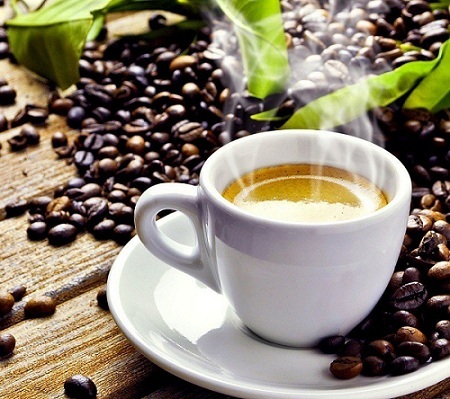 As coffee consumers, we are aware that there is a very broad range of characteristics one can find in any coffee, ranging from the earthy tone flavor to sweet fruit, to floral flavors as well as tea-like aromas; indeed, there is an incredible taste spectrums and experiences for our beloved beverage. Have you ever wondered what determines the taste, aromatic and flavor characteristics that will be found in your cup today? Well, the answer is right here today. The many factors that add up to differentiate the characteristics include the age, region and the variety of the bean (Arabica and Robusta), the nature of care upon treatment, as well as the color of the bean. Above all, roasting style and degree have the most significant impact on any coffee flavor. When harvested, the roaster assists in realizing the full potential of the harvested coffee by designing a roast profile that suits that type of beans. Although this is not as simple as determining the lighter or darker pieces, contrary enough, the color could be quite misleading. The roaster is bound to fine-tune variables such as roast time, the rate of rise, charge temperature, airflow, drum speed, & cooling speed, while paying full attention to facts like the temperature logs, the first and second crack timing, as well as the sensory experience. However, we should realize that roasting is not as easy at is seems since it has some incredibly complex facts to check for too. Overall, three key sliding scales can be used to describe the final roast no matter how it went down. Development – In the end, the coffee bean is either overdeveloped, developed or underdeveloped. Watch Your Rate of Rise. If you dislike mathematics, then coffee roasting may not be among your hobbies or profession. The Rate of Rise (RoR) is among the most significant metrics when mapping and evaluating a roast. It is the progression of the coffee bean temperature per unit time when roasting. A perfect roast should have a steadily decreasing Rate of Rise. Most roasts that end up stalling or digressing develop unpleasant baked flavors. Conversely, the roasts whereby with increasing RoR, especially after the first crack, usually lack any sweetness. While most of us tend to be focused on other parameters like time and temperature, a very dynamic factor known as airflow could be on the other side causing more issues that you ever thought. I bet you realize that the flat, baked, dull, and dry flavors are all created by time and temperature combined with airflow issues. Airflow is much more important than just providing a pathway for the by-products. The most experienced roasters utilize airflow in tandem with a heat source to deliver finer control throughout during the roast period. Basically, the higher the airflow, the greater the convective heat transfer, therefore, airflow must be gradually and incrementally raised as the roast progresses. This will dispense off the smoke and chaff produced late in the roast. Theoretically, one should yield some tasty roasted coffee from your coffee roaster, get it insulated, and have a way of changing the input temperature throughout the process of roasting, as well as a method for cooling the beans faster. Each coffee possesses varying requirements, but generally, this is the roast profile that should be used for roasting any coffee, while adjusting according to the desired taste. Practically, a roaster should be pre-heated, and then once the temperatures are stable, the agitation device should be enabled to dump in the extraordinarily high-quality green coffee beans. Ensure to always use the same roast mass for consistency to obtain the tastiest flavors. Ensure to pay attention to the temperatures at drying phase and the first crack stages. Depending on the temperature variation, the result of the coffee beans could turn out baked, stalled or ideal and perfect. This is the coffee that is roasted after the first crack, which results from the breakdown of the cellulose structure of the coffee beans during the entire process of roasting. The earliest stages of roast are the most crucial for proper development of the inner bean. While low and slow’ is the ideal secret to good barbecue, a large amount of energy upfront is contrarily perfect for coffee roasting. There are three stages of development; developed, underdeveloped and overdeveloped as explained below. Roasting darker does not automatically render the coffee developed, while a light roast does not simply mean undeveloped. Development is very separate to color. Hence, actual development cannot be seen on the exterior of a bean since a significant amount of the interior may still be underdeveloped. With correct development, any consistent color of roast can be rich and sweet. Roasting darker is one of the ways to reduce underdevelopment instances, not the best way, though. Although the interior of the bean will be exposed to higher temperatures reducing the undesirable flavors while increasing solubility, the exterior, on the other hand, is likely to overdevelop and too dark. In this case, the ideal solution is applying the right amount of heat at the right times during roast to develop the interior and exterior evenly allowing you to complete the roast darker or lighter with no fear of under-developing the interior or overdeveloping the exterior. Put in mind that with proper development, any variant color of roast can turn out rich and sweet. This is when the final coffee product has become soluble and does not produce undesirable organic flavors, although the energy and time used during roasting has left very little delicacy behind. It is usually hollow, empty and lifeless. Although these cases are extremely rare and often impossible with Colombian and Kenyan coffee, therefore, don’t stress so much over it. Different people across coffee-drinking parts of the world have developed preferences for roast styles and designs. The method used has a great impact on the coffee flavor, although different coffees with different origins are usually better suited to some specific roast styles over others. The coffee names do not necessarily indicate the origin but the style used, for instance, Viennese coffee is not named according to the origin of the bean, but the roast style which was made popular by coffee drinkers in Vienna centuries back. This is not named as a cinnamon flavor additive to coffee, no. Rather, it depicts the resemblance of the roast style to the color of the spice. It is characterized by an increased acidity, thin taste, reduced aroma and a simpler complexity in general. It is commonly referred to as the New England roast; the name came from the region of the United States where the roast style was so popular. Its acidity is at the peak, richer in consistency than a lighter roast, increased aroma and a generally increased complexity. Also called the Regular or American roast, and has become most popular in North America. With increased acidity, you will get a bright coffee flavor with a richer in consistency and a more developed aroma than the previous ones. Also known as the Regular City roast, and popular roast style in North America. There is increased acidity, with a richer consistency in the body and an aroma at its maximum. Commonly called the Viennese Roast, Light Espresso Roast or Light French roast. Here the acidity is low, and a thicker consistency and increased complexity. It is also referred to as the French Roast, Light Italian Roast or Continental Roast. It is characterized by weak acidity, the body at its peak, an increased aroma as well as high complexity. The total degree and time of roasting for any specific coffee bean vary depending on several factors including the quality of the beans, total moisture content, and their grade. The age of the coffee beans and the weather conditions of the roasting area, also affect the roasting time. In most cases, the roastmaster will pay attention to the time and temperature used as well as other subtle considerations like the appearance and the smell of the coffee while roasting. However, roast time is the most important factors that determine the taste of the coffee in your cup. As the roast time passes, the color of the bean changes as well, the changes vary from — light, medium, medium-dark and dark. During roasting, the coffee beans absorb heat thus their color becomes darker. Some oils will appear on their surface at higher temperatures. 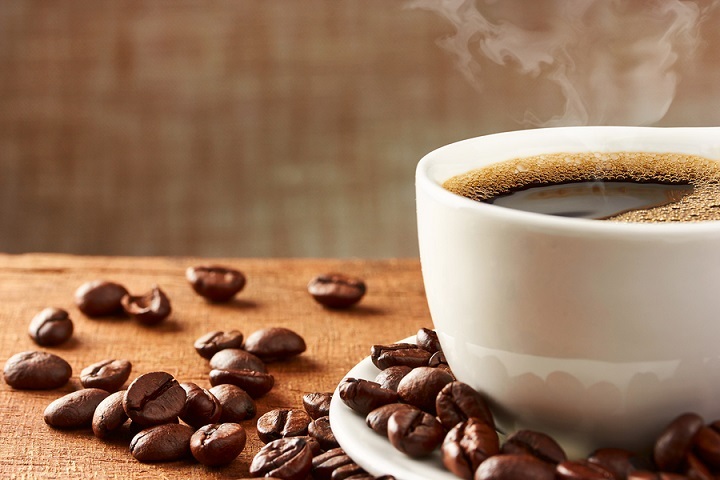 Many coffee drinkers assume that the rich, intense flavor of darker roasts depicts a higher level of caffeine, no; on the contrary, light roasts have a slightly higher concentration. Since coffee beans vary, the color is not an accurate way to judge a roast. The perfect roast varies depending on the personal choice, which may be influenced by national preference or geographic location. Another factor to consider is the end speed of your roast. After a roast, the coffee beans are usually quite dry and fragile. One should be careful since slightest changes in temperature could make or break the whole roast. Roasting results in chemical changes as the beans are rapidly brought to extremely high degrees of temperature. Upon reaching the peak of perfection, a quick cooling process is done to stop the process. At this stage, they are crunchy, hence ready for grinding and brewing. One should, however, ensure to use them as soon as possible after roasting before the fresh roast flavor starts to diminish. Whichever method you use for roasting your beans, there are several characteristics of each of the beans you have to keep in mind. In most cases, your preferences will determine when to stop roasting. Overall, keep the smell in mind, note the time and color changes, and know that the total timing of your roast will depend on your preferred color of the beans. A good rule to keep in mind is that the darker the bean, the fuller the body of the bean. Do not forget to open up your ear for the crackling sound for both first and second cracking. The two crackling sounds will occur as the temperature rises during roasting. 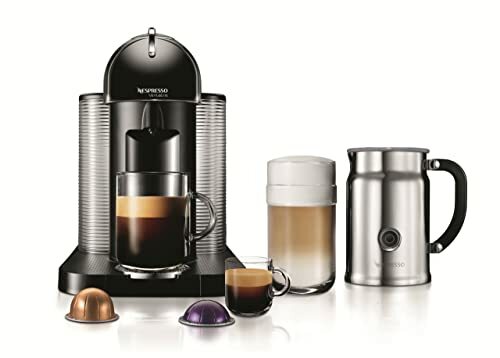 Other factors to keep include the coffee varieties, the age of the coffee, as well as the processing method, the grind, and the method used to brew the coffee. Overall, the roast level usually provides the baseline, and a rough guide to the taste you will expect from your result coffee, giving you a unique flavor, taste and aroma of coffee. Coffee type and its optimal roast level are generally a personal preference, though. I’m so glad that I stumbled upon your article because I’ve been thinking about different ways to roast my coffee. I think you’re absolutely right: there are so many variables you need to take into consideration. I often forget that the rate of rise can affect the roast. It’s interesting that airflow also can influence it. I’ll be sure to keep these great tips in mind — hopefully I perfect my technique soon! Thanks for sharing these great tips!